Kasthamandap once stood proudly as a symbol of the valley’s fascinating architecture. Last year’s quake brought it down to rubble. April 25 marks the one-year anniversary of the devastating first earthquake of 2015 that wrecked havoc across a large swath of Nepal’s hills and mountains. We are still recovering from the human and psycho-social casualties of the first quake, and the many that followed. But, in the meantime, the loss of heritage sites has failed to elicit a strong response from the Nepali public and government bodies. Here we will review the progress on reconstruction of the most significant heritage loss from the earthquakes: the complete and devastating collapse of the venerable Kasthamandap (also known to locals as Maru Satta) at Maru Tole. Kasthamandap was the oldest standing public building in Kathmandu at the time of its collapse, with elements of its structure dating back to at least 1143 CE, and possibly to 1090 CE. Kasthamandap was a public rest house, and housed shrines to multiple deities. It sat literally at the center of Kathmandu, and the city gets its very name from the monument. Kasthamandap, therefore, was the core of Kathmandu’s cultural identity, and a crucial component of its living heritage. Last December, a UNESCO-sponsored team consisting of experts from Nepal and the UK wrapped up a post-earthquake survey and published an initial study titled “Post-Disaster Urban Archaeological Investigation, Evaluation and Interpretation in the Kathmandu Valley World Heritage Property”. The report devoted considerable space to Kasthamandap, where the team had conducted surface studies, carried out limited excavations along small trenches, and most importantly, conducted subsurface monitoring using non-intrusive ground-penetrating radar technology. Interestingly, the team found no significant earthquake-related damage to the foundation of Kasthamandap, despite the complete and total collapse of the above-ground structure. The only damage detected to the foundation surface was due to the callous use of excavators and bulldozers to clear the rubble immediately after the earthquake. Most importantly, the UNESCO team also found evidence of multiple layers of building and renovation below the perimeter of Kasthamandap, carried out over the centuries. This finding strongly calls for further excavation and research into the existing subsurface heritage to gain new insights into Kasthamandap’s past, and also to ensure that the rebuilding will be carried out over a stable foundation to minimize damage from future earthquakes. This research must be conducted before any rebuilding takes place at the Kasthamandap site. During the limited excavation, the UNESCO team also found three gold foils (Figure 2), one per mortise socket of the three saddlestones supporting the main wooden pillars of Kasthamandap. The gold foils were embossed into eight sections, with decoration in each portion, a clear mandala design. The gold coins are consistent with similar findings at temple sites across South Asia from the medieval period, and points to a possible consecration ceremony during the original construction or subsequent restoration of Kasthamandap. Indeed, the original construction of Kasthamandap, or any public building for that matter, must have been a solemn affair, because it was a human attempt at replicating the creation of the universe as per the tenets of Vastu Shastra. Therefore, the building of Kasthamandap necessarily re-enacted the creation of space and time, the unfurling of the eight directions, the physical occupation of volume, and the demarcation of the sacred/familiar inside from the profane/foreign outside. Finally, the entire construct was pivoted around an unmoving center, with the axis mundi of Mount Sumeru running right through it. It is no surprise, therefore, that gold mandalas were used at the critical load-bearing joints of the structure to provide a “life-breath” to the building, and prosperity and welfare to those performing the daring act of construction/creation. The UNESCO team identified three saddlestones, as mentioned earlier, but very significantly, they did not locate the fourth. Further, the corresponding wooden pillar that could have stood above the hypothetical fourth saddlestone was located, but it did not have a tenon required to create a strong joint as in the other three mortise-tenon connections. At the time of its fall, therefore, the main load of Kasthamandap was supported by three locked (mortise-tenon) joints, and a mobile one, where the corresponding wooden pillar simply rested on the underlying brickwork without any strong connection. We look forward to further research and scholarly publications from the UNESCO team, led by Robin Coningham of Durham University, UK. The gold mandalas are an obvious target of further investigation, and in general, the results of radio-carbon dating and minute study of the hundreds of samples meticulously collected and catalogued by the team would provide a treasure trove of information about Kasthamandap’s origin and history. We also hope additional archaeological studies will be performed at the site to explore the still-unknown subsurface heritage buried within. Of special interest is the missing fourth saddlestone base, which if investigated could lead to pointers about how the future rebuilding can be optimized to provide stability against earthquakes. Based on their investigations, the UNESCO team designated a significant area in and around Kasthamandap as “high risk”, requiring additional excavations and study (light red areas in Figure 3), before any reconstruction activity can begin. The UNESCO project and its report has been the only positive development concerning Kasthamandap in the one year since its fall. The rest of the news around Kasthamandap is a sorry saga of ineptitude, lack of coordination, and pure callousness from government agencies responsible for heritage preservation—specifically, the Department of Archaeology (DOA) and the Kathmandu Metropolitan Office (KMC). One year on, there has been no progress whatsoever in any of these fronts. Indeed, the abject lack of coordination between government agencies was embarrassingly brought to light a few months ago when KMC contracted out to a standard company the work of erecting hideous metal poles on concrete bases, placed into holes dug all around Kasthamandap and other UNESCO world heritage sites. After intervention by concerned conservationists and residents, the DOA indicated that they were completely unaware of this activity, and soon put a temporary halt to it. But, eventually, the disastrous project continued, and the metal poles were reinforced with chain link metal fencing. As of early April, Kasthamandap has been completely fenced off from the public, and a lock at the only entrance ensures nobody gets access to the space within. As this scribe has mentioned before http://kathmandupost.ekantipur.com/news/2016-02-06/nepali-patience-and-heritage-conservation.html, for a large portion of our valley population, Kasthamandap was much more than just cultural heritage. It was a temple housing the shrine of Gorakhnath and the four Binayak representations of Ganesh. It was a sacred space that gave solace to the soul and provided mortals access to the divine immortal. While Kasthamandap itself was completely destroyed in the earthquake, its hallowed site continued to serve as a place of worship. This is because in Hindu tradition, the consecrated space of the temple grounds itself is as sacred as the temple structure. But, due to the metal fencing and locked entrance, devotees are now forced to pay their respects to Gorakhnath and the four Binayak representations of Ganesh by peeking through the ugly metal fencing around the perimeter. 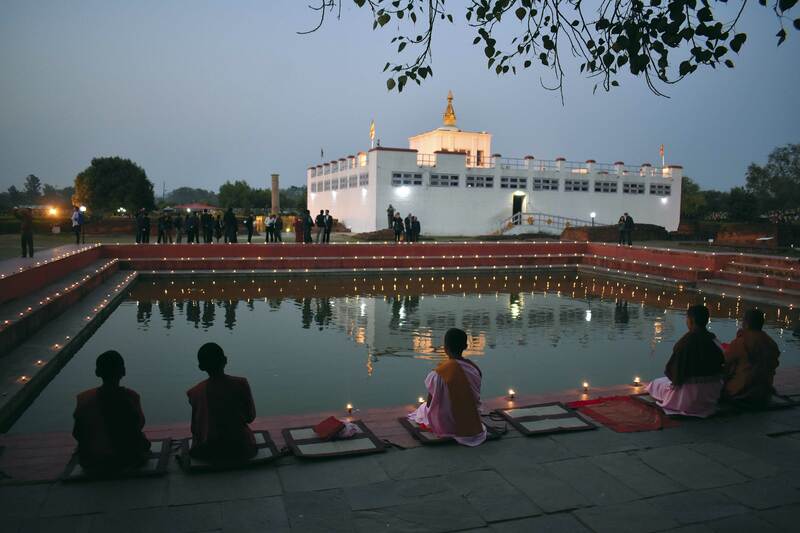 Very recently, as reported by Impact Productions (a local multimedia production house involved in heritage restoration), a Maharjan family from Dhoka Tole was forced to perform the annual Tisa Bicha ritual outside the premises, rather than within the hallowed sanctum of Kasthamandap, as in all previous years. Despite the explicit recommendation of the UNESCO report to perform additional research and excavations to assess the subsurface heritage, and despite the delineation of the entire Kasthamandap area as a “high risk” area, the Department of Archaeology has recently promised to initiate the rebuilding of Kasthamandap within a few months, using contractors solicited via a tender process. To casual or callous observers, speedy restoration of heritage sites might seem like a piece of good news. In this case, however, the government seems to have completely ignored the recommendations of the UNESCO report. We need more research into the premises of Kasthamandap before rebuilding is initiated, for two reasons. First, we need to find out exactly what lies under the surface of Kasthamandap. Archaeology of sacred sites is explicitly prohibited in Nepal, but due to the earthquake, we have a unique opportunity to perform excavations at Kasthamandap. The UNESCO report provides tantalizing clues about the many layers of history buried within the areas designated “Possibly Archaeological” (Figure 3). Performing thorough excavations using archaeology experts could unearth stunning new insights into the history of this ancient Kathmandu monument. The second reason further research at the site is required has to do with earthquake resilience. Without knowing exactly what lies below the surface, we cannot ensure that the rebuilt Kasthamandap will be as earthquake-safe as possible. This is a fundamental principle of engineering. While there was no visible damage to the foundations of Kasthamandap detected, there might be structural weaknesses that survived last years’ earthquakes but would not survive the next big one that is sure to come. We already know from the UNESCO report that one of the four main wooden pillars was resting on an unsecure joint. 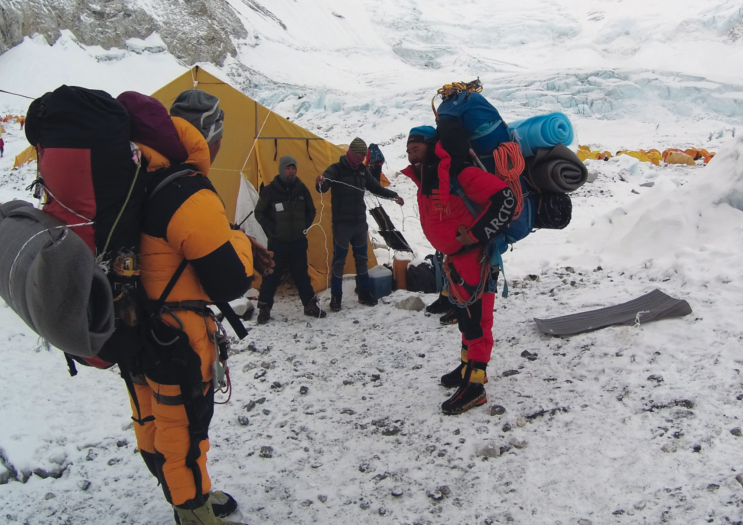 We can imagine the plethora of new insights about structural weaknesses that are waiting to be discovered within the subsurface of Kasthamandap. Some experts believe that only traditional building materials and building practices should be used in the reconstruction of Kasthamandap. This school of thought argues that traditional architecture has evolved over the centuries and has successfully adapted to the unique needs and conditions of Kathmandu. But, this school of thought seems to forget that when the big earthquake of 2015 came, Kasthamandap suffered complete and total collapse. We need to introduce elements of modern engineering during the rebuilding of Kasthamandap (but of course we need to do it so that the modern elements are either completely invisible or minimally visible). If we don’t use modern technology to ensure seismic resistance, our future generations will curse us when the next big earthquake comes and Kasthamandap again collapses into a pile of rubble. The solutions in heritage preservation must combine modern elements of engineering and technology not available at the ancient and medieval dates of construction of these heritage sites, but do it in such a manner that the outward appearance of the sites are not compromised. There has been a recent flurry of official activities concerning Kasthamandap, to demonstrate ostensible progress. First, there was an official event organized for the “transfer” of architectural drawings from the DOA to KMC, largely based on the originals by Wolfgang Korn, and funded by Mary Slusser’s project from almost 40 years ago. It appears that two companies were contracted for the drawing/engineering project (Design Station, Architects and Planners Pvt. Ltd, and MRB and Associates). The transfer of drawings could easily have been done via a courier transporting the drawings from one government office to the other, or via electronic exchange of files. Next, there was public exhibition of said drawings for one week at Basantapur. All these activities demonstrate progress, but they fall woefully short of the kind of momentum we need to be seeing a full one year since the collapse of Kasthamandap. Specifically, the architectural drawings have scant details about the engineering details that will introduce seismic resilience to Kasthamandap, and will ensure the rebuilding is faithful to local Newa traditions. There are no details available of the modeling/simulations to be performed to ensure earthquake resilience. There are also no details on the brickwork or other building material that will be used. Details of sourcing of the wood material is cursory and incomplete. The measurements are a mix of metric and imperial. The timber joints are supposed to be “double-fiber wrapped”, but the details and benefits of this process are unknown. There are existing publications that capture critical architectural details of the interior of Kasthamandap. 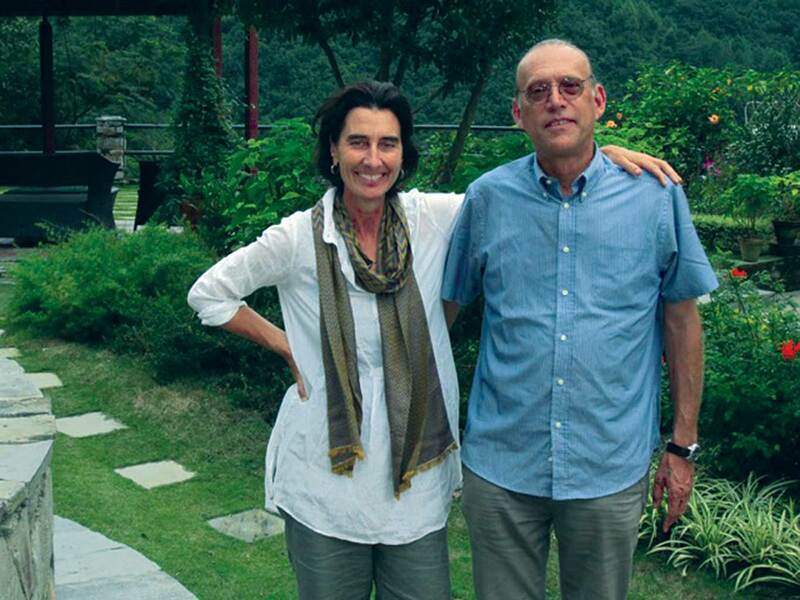 [V. Sestini and E. Somigli, Himalayan Architecture: Traditional architecture in the Kathmandu Valley. Polistampa (2007).] These details, also available at www.rebuildkashamandap.com seem to have escaped the attention of the contracted companies, but need to be incorporated into the schematics of the official design plans so that the rebuild of Kasthamandap is as visually faithful to the previous design and plan as possible. The DOA and the contracted companies also seem to have forgotten the many wonderful internal and external details of the woodwork that are captured in Mary Slusser’s detailed photographs of Kasthamandap, available in part in her book Nepal Mandala and in her private collection. Of particular poignancy is a photograph of the external frieze detail that shows a Shiva linga and a Buddhist stupa in close proximity (Figure 4), which is a beautiful testament to the religious harmony that existed in Kathmandu in the mediaeval period. What are the plans to document and reproduce these critical details? Finally, the most imortant aspect of rebuilding, the funding, is in limbo. The government has proposed a rather ambitious budget that is reported alternately as Rs. 14 Crores (USD 14M) [http://nagariknews.com/society/nation/story/63733.html ]or Rs. 192M (USD 1.92M)[ http://bit.ly/1W2apZJ ] Which one is the correct amount? And crucially, which national or international agency has committed to providing the funding? At the time of writing, this is still very much an open question. Meanwhile, the government has focused considerably more efforts towards the rebuilding of Dharahara compared to Kasthamandap. There was even a public appeal to donate money to a Dharahara Reconstruction Fund, under the so-called ‘I will build my Dharahara Myself” campaign. The Office of the Prime Minister has “directed” all employees under their purview to voluntarily donate portions of their salary to this Dharahara Fund. As the eminent scholar Satya Mohan Joshi has already pointed out, Dharahara is a modern artefact introduced by Bhimsen Thapa during the modern Shah era as a pale imitation of Mughal opulence. Dharahara is completely foreign to the culture and heritage of Kathmandu. Indeed, Dharahara was known in British circles as “Bhimsen’s Folly” because of its intrusive violation of the Kathmandu skyline, otherwise so gracefully framed by the temples, stupas and chaityas dotting the valley. Why dedicate so much funding effort for a relatively modern artefact of history, and ignore the ancient monument that gives Kathmandu its very name? As concerned citizens of Nepal, as residents of the Kathmandu valley, and as the current stewards of the living culture embodied by Kasthamandap, we must continue the drive for a faithful and earthquake-resilient restoration of Kasthamandap. In the process, we must hold our government official accountable for progress. Kasthamandap is the core of not only Newa heritage, but also Kathmandu heritage. If we fail at rebuilding Kasthamandap properly, we would have failed at nurturing the very soul of Kathmandu. 5.Kasthamandap fenced off with the metal mesh.